Between October 16-20, the Royal Northern College of Music presents Lindberg Resonances. Under the artistic direction of Adam Gorb and Clark Rundell, this five day festival includes performance of Corrente, Arabesques, Arena II, Tendenza, and Zungenstimmen; from RNCM performers and also Ensemble 10:10. 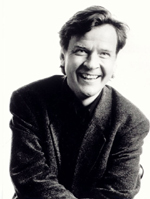 There is also an opportunity to hear Lindberg himself perform, when a solo piano recital concludes the festival. Keep an eye out for news of 'Max Resonances' at the RNCM in November and December; another celebration of the 70th birthday of Sir Peter Maxwell Davies.